If you have a new, established business or organization in the Salt Lake City area, considering the placement of a monument sign is a great way to advertise and get your name known throughout the community. Our beautifully crafted monument signs ensure that nobody misses your business or organization, and they are affixed into the ground to ensure longevity. Today’s marketplace is a highly competitive one, and television and radio advertising spots are very expensive. By making the investment in a monument sign, you will quickly get your money’s worth. They market to all demographics, and you are sure to notice an influx in business. With other forms of advertising, it is necessary to consider demographics and make the ad relevant to the season. Monument signs are always in season. People in the area will begin to associate your building with more than just some kind of office. They will develop a better understanding of the product or services you offer every time they drive by. There are a number of outlets available for advertising these days. Social networking sites such as Facebook and Twitter offer a great opportunity to reach out to potential customers as well as maintain established relationships. When you implement the use of a monument sign, the public will be better able to associate your business with your local presence. People know your building exists, but it can be difficult to guess what goes on inside the walls. Because of this, many potential customers will never even know you offer a beneficial product or service. 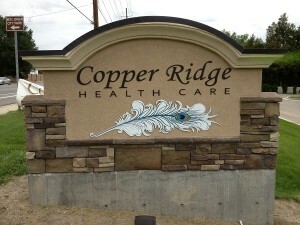 Monument signs help establish your business and product. When more people are aware simply by a sign that you offer what they need, they are far more likely to stop by. Monument signs are permanent signs where the sign is affixed into the ground, generally in front of a business. They make a business easy to locate from the street and is designed to make a memorable impression. They are commonly made of stone, glass or composite. Various monument signs around Salt Lake City will look different from business to business based on the owner’s needs. Some of them light up and others do not. Monument signs are most useful when the size of the sign is large enough to read from the street or vehicle passing it at travelling speeds. It’s important to be sure to research with the city you live in, the regulations of the size of the signs and it’s placement in relation to the property lines of the business. If you have a design in mind, feel free to stetch it out and bring it to us when you have your free consultation. We can help you determine the color, size and shape as well as any extra features your business needs to get noticed by new and existing customers!